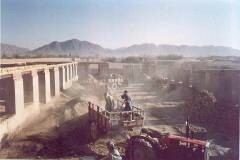 In September 2003, HAFO undertook construction of a bamboo reinforced concrete pavement at the UNOCA compound on Jalalabad Road in Kabul City. 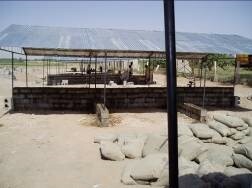 Drainage structures were also constructed. The entire project was completed within 1 month. 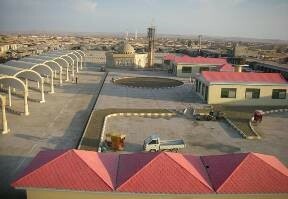 The project was funded by UNOPS and the Ministry of Public Works with a budget of US$134,737. 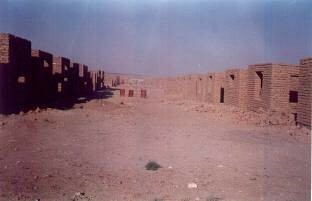 WFP provided HAFO with 40.61 MT wheat as food for work, and cash of Afs.12,122,000 for construction of a VTC building in Kandahar province in 1996. The goal of the project was to contribute in rehabilitation of skilled manpower in the area. The building consists of four large workshops for welding, tinsmithry, carpentry and tractor-repairing trades. 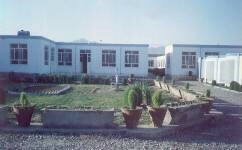 There are also three office rooms, three rooms for a staff hostel and a store. This project has been undertaken following very positive results obtained from running a similar project in Ghazni province for the past several years that has succeeded in training of hundreds of technical cadres in different trades. 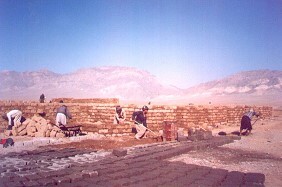 Work was completed in 2003 with assistance from CORDAid. 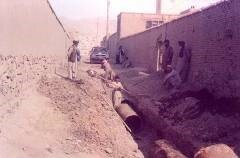 Construction of 23 culverts in Arghandab district of Kandahar province was carried out by HAFO in April 1996. This project was funded by UNOPS with the total budget of US$9,000. 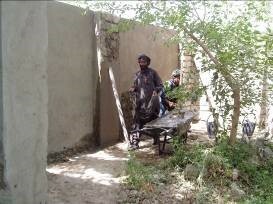 UNICEF contracted HAFO to construct 200 double-pit latrines in Panjwaie district of Kandahar province. The project started in October 1996 with a duration of 5 months. 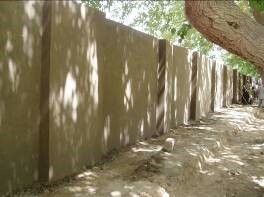 HAFO repaired 3 karezes and constructed 5 flood protection walls with support from IRC/RAP of Rs. 1,435,500. A consortium of NGOs (including HAFO) worked with UNICEF to construct latrines and wells at schools in a number of provinces. 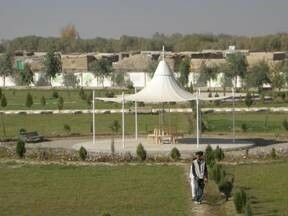 HAFO has undertaken construction in Kapisa province, over a 4 month period in 2003. 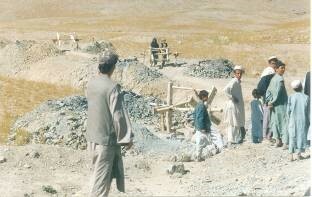 HAFO commenced construction of a diversion dam and cleaning of a canal in Tagab district, Kapisa in October 2002. The project was implemented as part of the Afghanistan Quick Impact Programme (AQIP) funded by Chemonics International through USAID. 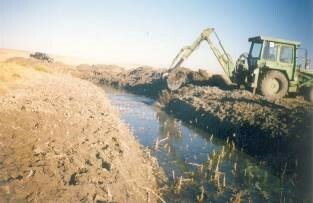 This project has helped to re-irrigate 5,000 jeribs of land. 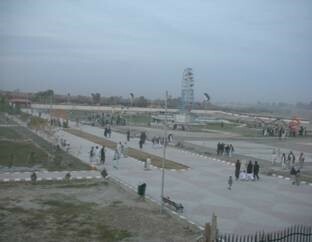 Duration of the project was 6 months, completed by the end of March 2003. The project budget was US$80,000. 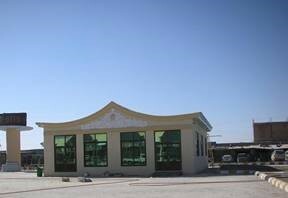 Construction of a building for vocational training center at Mazar was funded by Japan Embassy through its GAGP programs. The total amount of fund allocated for this project is US$.353,000. The project was started in January 2005 and was completed in July 2005. 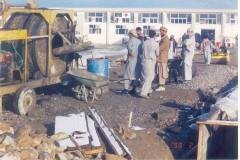 Rehabilitation of 18 Nahr was started in August 2004 with joint cooperation of PCI and NEC. The PCI is playing as leading role. The total grant HAFO is using in this project is US$.142,000 for the duration of 18 months. As part of the AQIP project funded by Chemonics International through USAID, HAFO repaired 10km of the Jaghatu to Rashedan Road in Jaghatu district, of Wardak. UNOPS provided comprehensive road engineering training (theoretical and practical) to the HAFO engineers working on this project and assisted Chemonics with monitoring the standard of road construction. Road compactors, drainage ditches and reinforced cross drainages were used to ensure that the road lasts a minimum of three years after the rehabilitation is complete. 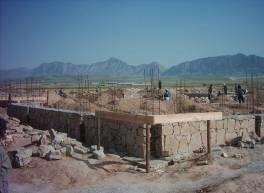 The work commenced in April 2003 and was completed in October 2003. The budget for the road repairing project was US$132,000.00. 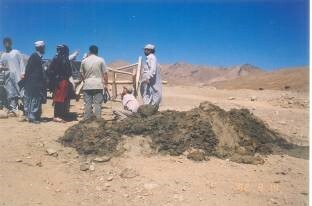 HAFO constructed 30 shallow wells and installed hand pumps, desilted and repaired 3 irrigation canals, cleaned and rehabilitated 10 karezes, and constructed 1 water divider in Jaghatu, Maidan Shar and Nirkh districts of Wardak province. The project was funded by IMC with a budget of US$80,000. 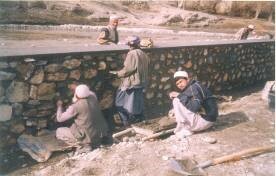 Cleaning and repairing of 11 karezes, funded by UNDP, was completed by HAFO in September 1994. The total beneficiaries of the project were 15,068 persons. 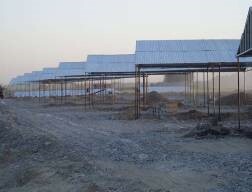 Completion of the project brought under irrigation approximately 702 ha. of agricultural land. The total budget for this project was Rs.351,637. Cleaning and repairing of 17 karezes was achieved through 174MT of wheat supplied by WFP as a food for work program. The main objective of the project was to bring more lands under cultivation and ensure an increase in the level of water supply. The project improved drinking water supplies and benefited 540 families. 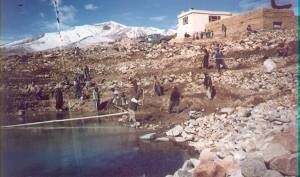 HAFO cleaned and repaired 8 karezes in Jaghatu district of Wardak in spring 1991. The project's goal was to supply a sufficient quantity of water to the pre- war conditions. The total direct beneficiaries of the project were 309 farm families. Stichting Vluchteling (S.V.) funded the project with Rs. 374,275 and the duration of the project was four months. It was a very successful project as it fully realized the target plan and met the satisfaction of the beneficiaries. 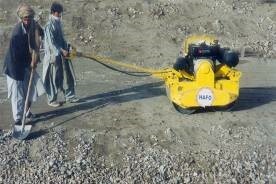 HAFO carried out cleaning and repair activities on 16 karez projects in Jaghatu district of Wardak. This was achieved through a cash contribution of Rs. 600,127 by NAC. The aim of the project was to restore cultivation of agricultural land and growth of agricultural productivitvity. A total of 13,592 persons have benefited from this scheme. 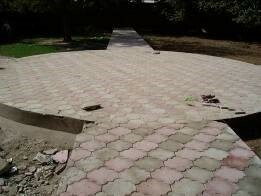 HAFO carried out cleaning and repairing activities on 10 karezes with a cash contribution of Rs. 408,365 from NAC. The immediate objective for this project was to reconstruct and rehabilitate drinking and irrigation water supply systems for reactivating agricultural productivity and to provide the rural inhabitants with safe drinking water. The project benefited 450 farmer families who use the water for irrigating their land and their own consumption in the target area. 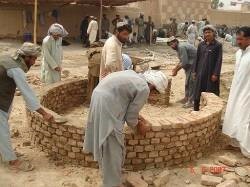 HAFO constructed 1,500 mud houses for IDP families in Herat. The project was funded by CORDAID. 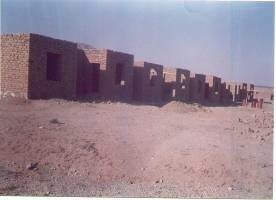 HAFO constructed 1000 mud houses for the IDPs in Maslakh camp. 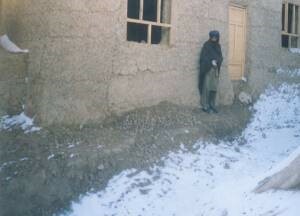 The project was supported both by WFP and UNOCHA, with a duration of three months, and was completed by August 2001. 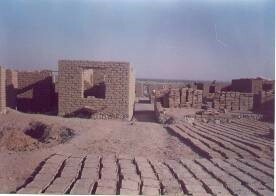 In addition to the mud houses, HAFO constructed 300 latrines for the IDPs. This project was also funded by UNOCHA with WFP contributing wheat as food for work. HAFO carried out the repair and maintenance of 400 wells for drinking water purposes in different IDP camps in Herat, funded by UNICEF and WFP. The total project budget was US$9,200 with 75MT of wheat contributed by WFP as food for work. To facilitate temporary settlement of drought affected IDPs in Herat city. To improve the living condition of IDPs by constructing and reconstruction of 1,800 mud houses and accommodating 1800 families. To provide the IDPs with work opportunities and thus with food through the WFP food for work program. 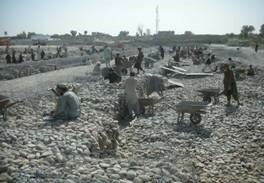 To train IDPs in construction work to build their own houses. The total budget allocated for this project was US$110,605 plus WFP contribution of 545.4 MT of wheat as food for work. HAFO constructed 250 latrines in Maslakh IDP camp. The project was funded by OI and the duration was one month. 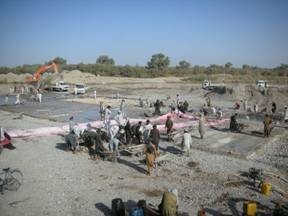 In addition HAFO carried out 5,500m of drainage work in the camp for which WFP provided wheat as food for work. HAFO dug and fixed hand pumps for 29 wells in Maslakh camp. The goal of the project was to provide the IDPs with safe drinking water. The project was financed by OI and the hand pumps were provided by UNICEF. 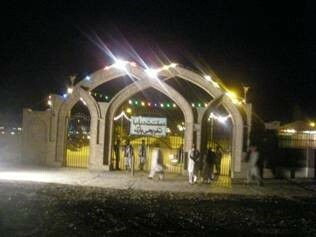 HAFO constructed 150 shelters in Ab Band district of Ghazni Province. 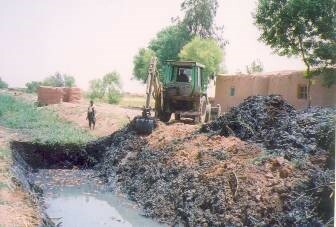 The project duration was four months, and work commenced in July 2003. 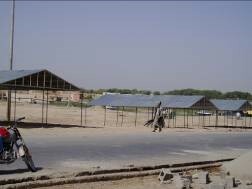 The shelters were constructed according to the UNHCR shelter construction standard provided in the UNHCR's 2003 Shelter Guidelines. Cash for work was paid to the shelter beneficiaries who assisted in the construction work under the supervision of HAFO. The project was funded by UNHCR/CARE International, with a budget of US$13,500. 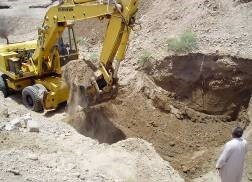 HAFO cleaned and repaired 100 karezes, and dug 15 deep wells in Jaghatu district of Ghazni Province. The project was funded by CORDAID with a budget of US$234,832. Work started in February 2002. The project had over 3,000 beneficiaries and fully met the target plan. In addition this project provided work opportunities for a considerable number of unemployed people in the target areas. 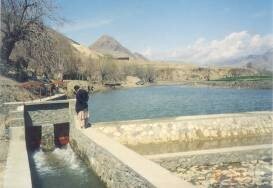 HAFO constructed two large springs in Sarab area of Jaghatu district, Ghazni province in March 2001. This project was funded by ECHO through Care International with a duration of four months. 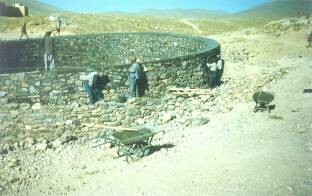 HAFO cleaned and repaired 36 karezes, and dug and fixed hand pumps for 75 wells in Jaghatu district of Ghazni province. The project was funded by ECHO through Care International. Work started in March 2001 and was completed in July 2001. There were 600 families as beneficiaries and the project resulted in provision of adequate drinking and irrigation water in the area. HAFO constructed 200m sidewalls on Dehkhodadad Diversion Dam. The project was funded by UNOCHA with a budget of US$22,000. This project started in November 1998 and was completed in February 1999. 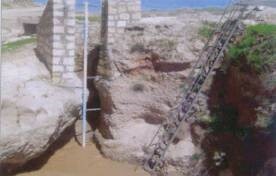 HAFO constructed an aqueduct in Pirzada village and a supper passage in Dehkhodadad village of Ghazni province. The project started in May 1997 and was completed in September 1997. This project was funded by EU-IRC/RAP with a budget of US$29,054. 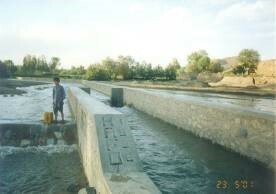 HAFO constructed a diversion dam in Dehkhodadad village of Ghazni province. The project commenced in September 1996 and was completed in December 1996. This project was funded by HELP-Germany and the total budget was Rs. 985,810. 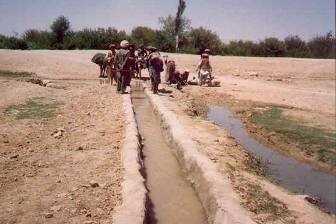 Helmand River is the main source of irrigation for the agriculture lands in Helmand province. 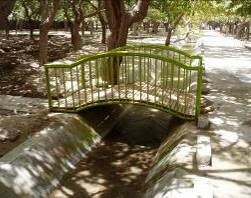 During the long years of war the existed irrigation system was badly destroyed. 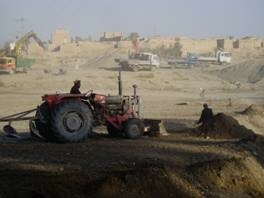 The agriculture lands of the province are mainly irrigated by Helmand River. 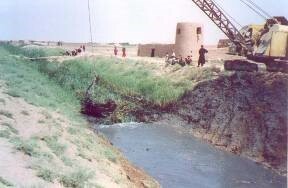 Due to lack of irrigation structures on the Helmand River, major portion of the river water flows unutilized. In winter season the water level becomes low in the river which causes shortage of sufficient irrigation water for the underlying agriculture lands. The project covered construction of diversion dam on new Shamalan intake at Helmand River near Bolan Bridge in Lashkargah city. The successful completion of the project resulted in provision of adequate water for irrigation to agricultural lands, improve food production in the target area. The project will help to reduce the sufferings of the residents of the target areas who have been adversely hit by the drought and war conditions. Their living conditions are very poor and the majority of them are suffering from a lack of food, inadequate water for drinking and irrigation not to speak of their other problems. This project was proposed on the basis of HAFO staff's need assessment and the request of local communities. 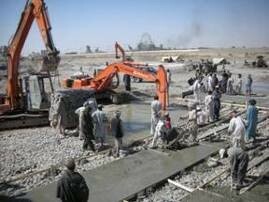 The project site is located near Bolan Bridge in Lashkargah city of Helmand province. 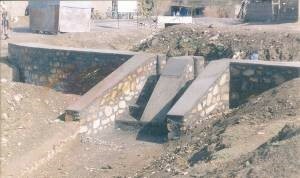 A diversion dam with a length of 460 meters, width of 30 meters and depth of three to 6 meters was constructed. The diversion dam was construed at a distance of 600 meter from the Bolan Bridge upstream. 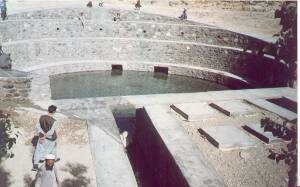 This was constructed on the intake of New Shamalan canal. 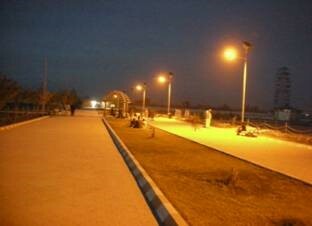 The new Sahamalan canal joins the old Shamalan canal in Anar Bagh Area at a distance of around 15 Km from the intake. 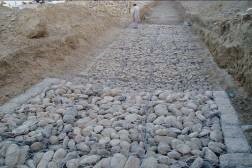 The old Shamalan canal which was constructed in 1970s passing through Kariziyan, Anar bagh, Aynak, Qalay Bostiyan, Gowragin, Kharaba, Luchmai, Khalach, Zaras and Char Qulfan and finally ends at Surkhdoz area and irrigates more than 35000 jeribs of agricultural land. The project was funded by DFID-PRT. The duration of the project was 6 months. 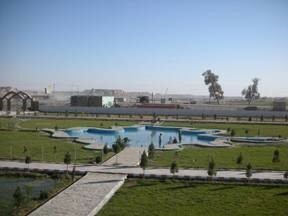 HAFO construction company constructed Jafaray Park in Lashkar gay city of Helmand province. The project was started in September 2007 and completed in November 2007. The project was funded by Embassy of Denmark. The total volume of the budget was USD 20,000. 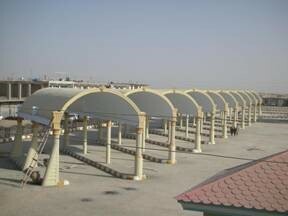 A total of 13 bus stands (bays) were constructed with covered concrete roof. In addition parking areas was established. 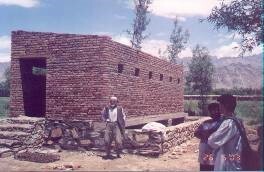 5 toilets for gents and 5 toilets for ladies were constructed. 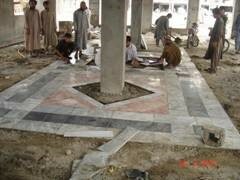 Construction of Floor covered with concrete and mosaic tiles. The project was funded by DFID. The total amount of the approved grant was USD 85, 4000 . The items which were installed in the Fun land include Slides, swings, moving chairs, horses and a big joint wheel with a height of 70 feets. The project was funded by DFID. The total budget of the project is USD 8, 40,000. The project was started on April 1, 2007. The project aimed to alleviate the social crisis and impact of government reforms by addressing the unemployment problems by offering temporary employment in "refurbishing works" dedicated to upgrading the decaying as well as run-down city landscapes as part of regeneration of the urban environment. The project promotes governance by increasing the capacity in the provincial, district, and municipal administrations and other actors, to implement jointly a temporary job initiative in a participatory way. 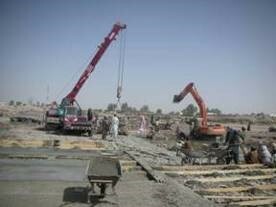 The project provided vocational training in basic construction skills to some 240 laborers. The pre-selected workforce after the vocational training was temporarily engaged by 12 sub-contractors to work on 24 refurbishing sub-projects, which were identified in the course of public participation. The project generated salaries for temporary employment, remunerated vocational training, salaries for project staff, and a number of permanent jobs following hereafter. The strategic objective was to develop a replicable model and increase the capacity for the conception and carrying out similar temporary job initiatives. The project was completed in February 2008. The program was funded by the embassy of Denmark. The total grant approved for the program was USD 629434. The project was started on May 15, 2006. The work completed on July 20, 2006. The intervention was undertaken with the very aim to help in provision of proper marketing facilities to the local inhabitants, to facilitate the provision of goods and other commodities and to boost the local economy. Under this program an area of approximately 5,400sq.m was leveled and graveled for construction of shutters and its footpaths. 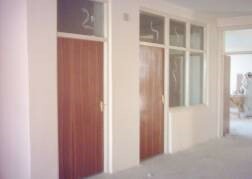 A total of 17 shutters were constructed, painted and fixed in the project area. 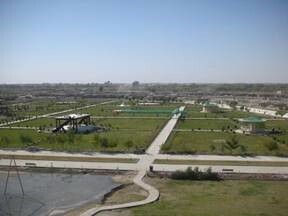 The project was started on May 15, 2006 and was completed on July18, 2006. The following activities were completed during the mentioned time period. 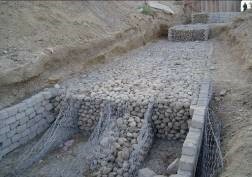 Excavation for the gabion wall was made at a length of more than 250m, depth of 3 meters and width of 4 meters. A gabion wall of 60 meters length, depth of 3 meters and width of 4 meters was constructed on the north side of bridge. An area of approximately 22,000sq.m was leveled for construction of shutters. Since the location for construction of the shutters was changed, therefore, a new location was leveled and graveled on an approximately 3000sq.m area. This area was also compacted. 30 shutters were constructed, painted and fixed in the project area. The river was diverted and more than 500m of diversions were made to divert the river. A dam at a length of 120m, width of 20 meters and depth of 2 to 6 meters were de watered by the help of 8 water pumps 24 hours a day & night. 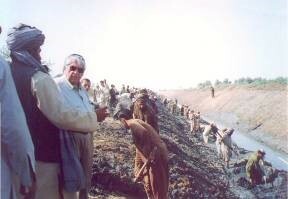 This enabled HAFO to start work on strengthening of the river bed. The river bed was strengthened and the total work volume done under the bridge was estimated an approximate of 850 cu.m The funds for this project were provided by DFID. The total amount of budget was USD 122,167. 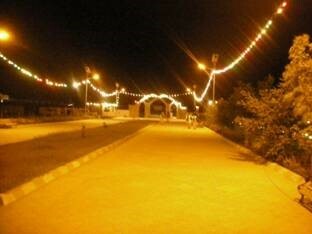 The adjoining area of Sayed Tajdar shrine in Grishk is the only recreation place for women and children as well as for men. 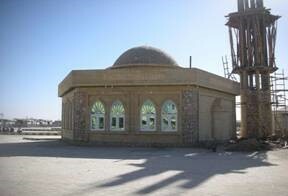 The shrine is constructed in an area of approximately 20 jeribs of land and is covered with mulberry trees. 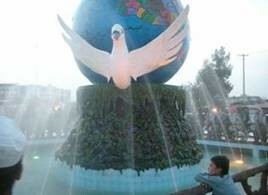 The work was started on May 15, 2006 and was completed on July 20, 2006. Excavation for the brick wall masonry was made at a length of 120meters, depth of 1.80 meters and width of 0.50 meters. A wall of 570 meters length, height of 2.8 meters was plastered. 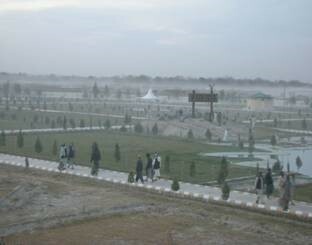 An area of approximately 14,000sq.m was leveled for construction of footpaths in the park. 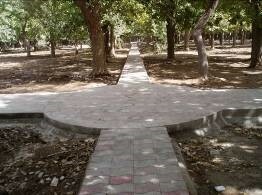 An approximate of 968 sq.m of Mosaic was worked on the footpaths in the park. A road at a length of 222meters in the park was concreted at a thickness of 0.20cm and width of the road was 3.60meters. Three bridges was made and fixed on the stream passing through the park. The stream was concreted at a length of 177m, depth of 0.60cm and width of 2.20meters. Three water pumps worked to dry the stream for more than 10 days. A wall was constructed at length of 24meters, height of 2.5meters with concrete blocks. 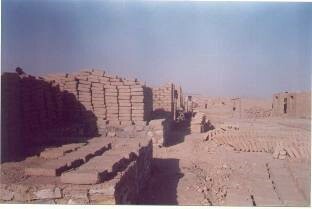 A brick masonry wall was constructed at a length of 120meters, height of 1.8meters. Two gates for entrance was made and fixed. The Grill was constructed at a length of 170m, height of 1meter. These were painted as well. 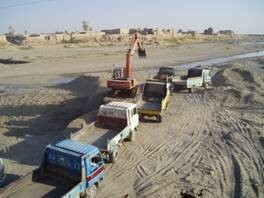 The project aimed at de-silting and leveling of the river bed near Bolan Bridge, Lashkargah Helmand province. The project activities included the de-silting and leveling of river bed on the upper side of Bolan Bridge with a length of 500 meters, width of 250 to 300 meters and depth of 1.5 meters to 2.5 meters. Prior to the start of this project the river was channeled into two directions passing from edges of the Bolan Bridge causing damages to the bridge. The purpose of the de silting and leveling of the river bed was to let river water flow equally under the bridge and avoid the destruction of the river banks on both sides at this area and to protect the bridge during the flooding seasons. With completion of the project this aim has been achieved. The project was started on October 1, 2006 and ended on November 14, 2006. The project was funded by DFID. The total grant approved for this program was US$. 259,479. 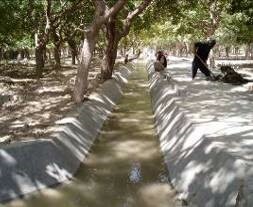 The vast Helmand Valley irrigation system comprises almost 500km of main drains and nearly 600km of lateral drains. Due to lack of maintenance for over 20 years, irrigation water started to back up leading to water logging, salination of the soils and crop failures. With the assistance of DAI, HAFO cleaned the main drains and secondary drains in two districts of Helmand - Nad-i-Ali and Marja. Both labour intensive and capital intensive technologies were used i.e. laborers and draglines. The project commenced in October 2002 and finished in August 2003. The project was funded by DAI through USAID with a total budget of US$1,100,000. 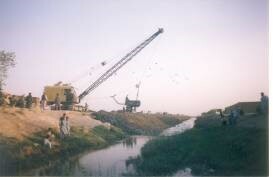 HAFO and MCI carried out de-silting and repairing of Bughra Canal in December 1998. 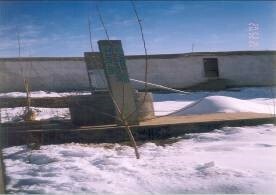 The project was funded by the US Embassy and was completed in March 1999. The total budget allocated for this project was US$300,000. The Bughra Canal has been considered an important water provision channel in the area and is vital in improving agricultural productivity in the area.